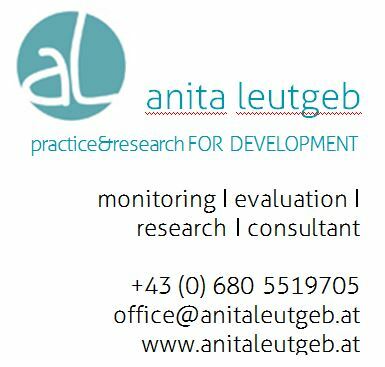 practice&research FOR DEVELOPMENT | I offer consultancy and research services for rural and social development as well as education. I provide organisations in the development, humanitarian, public and private sector with evidence for decision-making and improved project, programme and strategy design and implementation. I support organisations in revealing and communicating existing potentials and/or barriers in their organisation and I advise them on space for improvement or change. With greater knowledge you can improve the design and implementation of projects, programmes and strategies. As a result you will deliver your services more effectively and achieve greater impact! …that I combine social research and practical project management experience in the non-profit sector. …that I use a participatory and empathic working style. …that I work in English, German, Italian, French, Portuguese and Spanish. ….that I have country experience in Europe, Sub-Saharan Africa, Asia, Latin America. …my reliability, flexbility and high quality of work delivered.